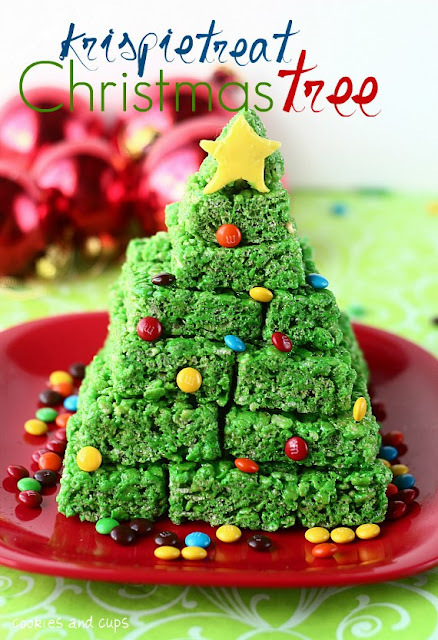 If you are looking for a super festive Christmas treat, but have just about run out of the Ho Ho Ho spirit, this Rice Krispie treat Christmas tree is the perfect idea for you. Inexpensive, quick, easy, and really cute. And if you are looking for something fun for the kids to decorate but don't want to make an entire gingerbread house, let them decorate this tree as an edible Christmas craft.